Our Boston personal injury lawyers understand that, in premises liability cases, the defendant will often to try to escape liability by claiming that the plaintiff was injured by an obvious danger. In Pinson v. 45 Development, a contractor was hired to install an electronic sign at a store. He was a master sign electrician with years of experience. He was using a bucket truck to get to the sign canopy. The canopy was constructed in such a way that he not have a place to stand. It was basically a metal frame with vinyl stretched over top. There was no way to gain access from underneath the sign. Since he could not access the sign from below, according to the record, he attempted to gain access to the interior of the canopy from the roof. He chose to use the roof and lower himself down to avoid damaging the owner’s storefront. He alleged that he had discussed this idea with his supervisor, and they decided to proceed in this manner. His supervisors testified that they would never have permitted him to proceed in such a manner. The company also testified that there was a safety harness on the lift that he could have used. According to the evidence, the sign electrician folded a ladder down from the store roof on to the canopy. He further testified that because the vinyl would not support his weight, he placed the ladder on the metal frame. He supported the ladder with a wooden board in order to get down to the canopy. 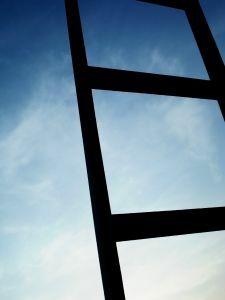 As he lowered himself down the ladder, the board slid out from underneath and caused him to be seriously injured. Eventually, he lost his leg in a below-the-knee amputation. This case was treated as a premises liability case, and the issues turned on whether the store owner was required to warn the injured electrician of known dangers involving the canopy, or whether this was an obvious danger that he should have recognized. Pinson is a federal case which applied local Arkansas law on premises liability. There was a lot of discussion about the difference between the duty of care owed to business invitees as opposed to licensees. However, as your Boston personal injury attorney can discuss with you, the Massachusetts Supreme Judicial Court (SJC) no longer distinguishes between these two types of plaintiffs. In Wilbur M. Mounsey v. Robert P. Ellard, a 1973 case, the SJC reasoned that there needed to be a balance between the rights of landowners and those on the premises. The court favored a reasonable standard of care in all circumstances approach. This balanced approach fashioned by the SJC allows a jury to make a reasonable determination based upon the facts of the case as to whether the landowner had a duty to warn a person on the premises or whether the danger should be obvious. While the determination may seem similar under this rule, there is no longer a need to force the court to use a rigid distinction as to the injured person’s reason for being on the premises.